July 2015. Olympic Pistol Advance workshop with Ruslan Dyatlov in Troy, Michigan. This is only the fourth FREE Pistol practice for Alex. He does not own any Free pistols yet. He just borrowed mine Toz-35M for his introductory practice today. Great job Alex! It is a nice target for beginner at 50 yards distance. July 2015. Olympic Pistol Advance Class with Ruslan Dyatlov in Troy, Michigan. POLICE PISTOL COMBAT. Combined 2015 Indoor PPC Match Scores. Top 20. POLICE PISTOL COMBAT. Combined 2015 Indoor Match Scores. Top 20. 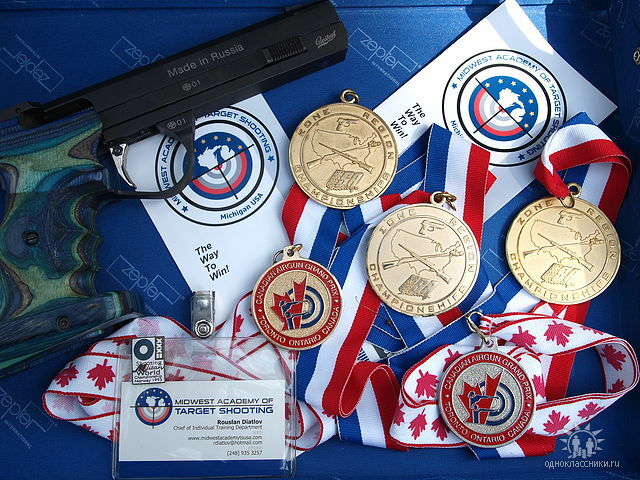 Aiming for the Next Level in Olympic Target Pistol. Part 2. By Gary Hoover. July 2015. Gary Hoover. Olympic Pistol Advance Class with Ruslan Dyatlov in Troy, Michigan. 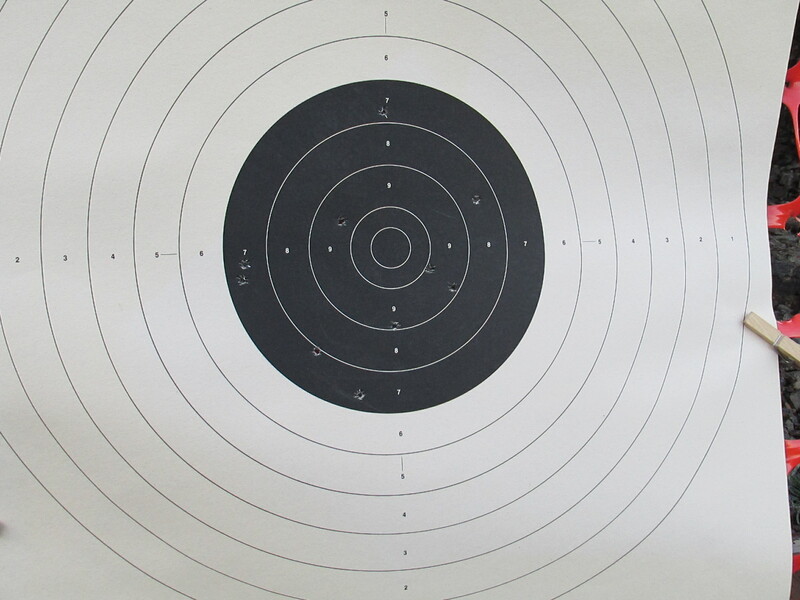 How to get more of your training from your Olympic Style Target Shooting System? 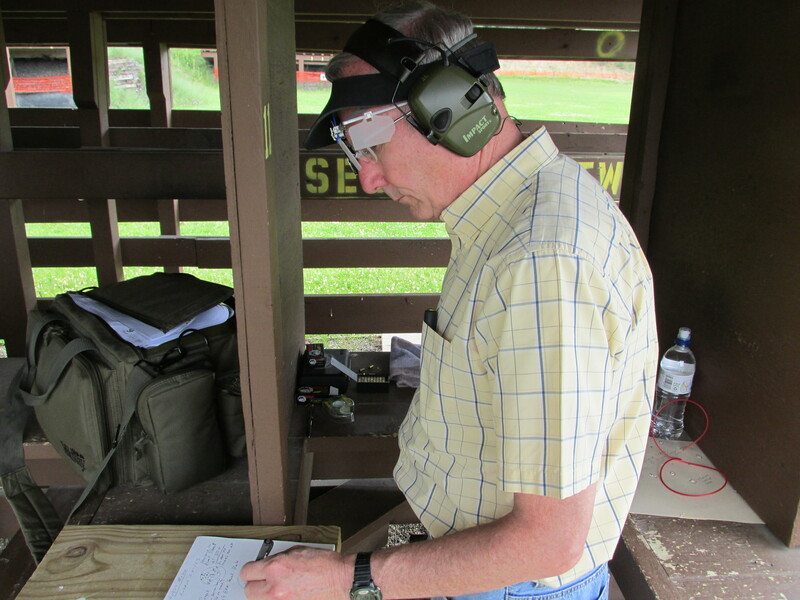 I am expecting to see a part two article from my recent Olympic style workshop with Gary Hoover from Maryland (Free Pistol and Air Pistol). Prior to his post, I would like to share a few thoughts with someone who has similar aspirations to my students. First, let’s talk about the type of system you are implementing in your training. Is there any system in your training? What are your key elements? What are your current performance obstacles? Are you making reasonable and accountable progress in your performance? Is your system capable of excelling you at a competitive level? Those questions should be addressed during your practice routine; otherwise, you are wasting your time and practicing bad habits which will stop you at low performance level. Second Question: Is your goal is big enough? Third Question: Is there a strategy plan in your performance? Fourth Question: What is your skill level in comparison to your desired score performance? Do you have the essential elements of training in place? The “Perfect Single Shot Development Class” will do the trick. Fifth Question: Do you know how to use the 20/80 Pareto Principle in order to increase your performance? As the spring of 2015 approached summer, my thoughts once again turned toward hitting the road to Detroit for another class with Ruslan Dyatlov of the Midwest Academy of Target Shooting. 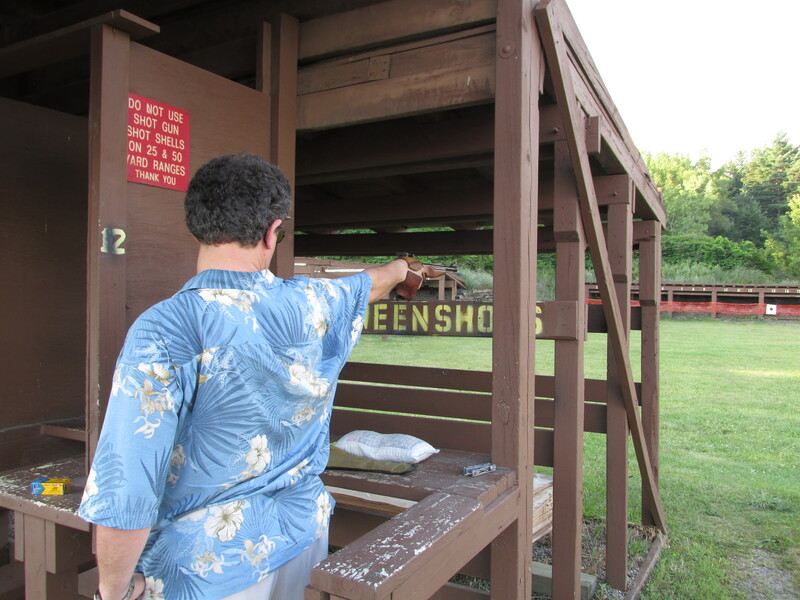 Last summer, I took the introductory Perfect Shot class, which focused mainly on target shooting basics along with air pistol practice. The principals learned thorough that class definitely improved my group. 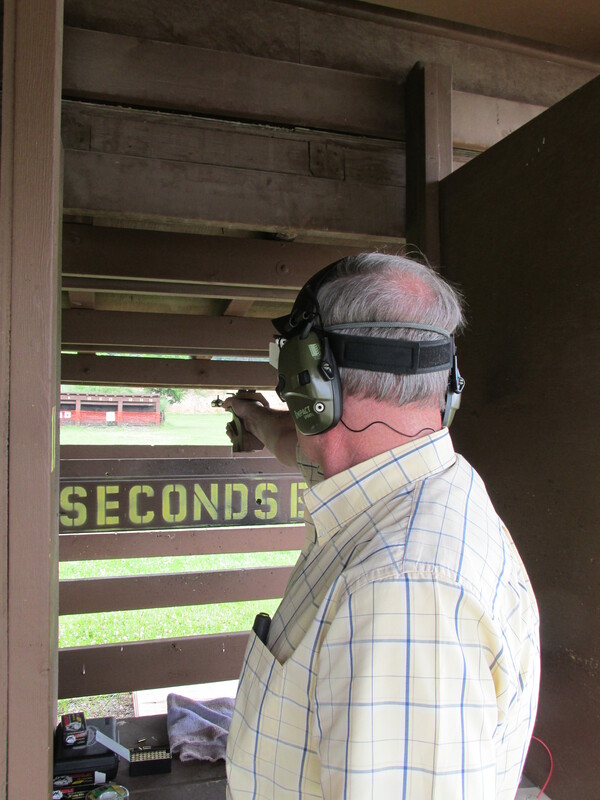 Nevertheless, I wanted to learn more and have the chance to do some free pistol shooting. Some coordination with Ruslan established the date in July for the 3-day class. Time passed quickly and before I knew it, I was in Detroit on the first day discussing the class agenda with Ruslan. The class focused on honing skills in several areas including shooting technique and performance, equipment issues, training routine and physical/metal conditioning. I’ll discuss what I learned in the performance and equipment categories now and save the training routine and physical/mental conditioning for a future article. At the beginning of the class, my performance “issues” could be divided into two main groups – those that I was aware of and those which I had no clue were a problem. While the first class most definitely helped tighten my groups, especially with air pistol, I knew I still had problems shooting consistently. For air pistol, I would often shoot a dozen shots or more all 8 or better and then deliver a couple goobers to the 3 ring. Worse yet, I had no idea why the goobers happened. Steadiness was also a known issue. I attempted to link diet, stress, time of day, etc. to my steadiness but had little success identifying the real problem. Free pistol had the same issues that air pistol did but in spades. After an hour or so of discussion with Ruslan, the known and unknown issues began to come into focus. And as one might suspect, the unknown issues were the cause of the known issues. For example, when lifting the pistol from the ready position, my wrist was not locked correctly. This caused the front and rear sights to not be aligned when I settled on the target. To correct, I was moving my wrist and when the shot was finally delivered, my wrist and arm were far from being locked. The technique to practice will be learning where to place the pistol and how to align my arm in the ready position such that when I lift, the sights are aligned and my wrist and elbow are locked. Fine adjustments will be made by moving my body. If everything is correct, the pistol’s recoil should be felt in the shoulder. To establish the correct ready position on the bench, I’ll first lower the pistol from the firing position to the ready position a few times. That’s the position to remember. Obviously, some practice will be needed. Sight picture and aiming were also a big issue. Another big issue was knowing when to abort the shot. Too many times, I would feel lucky and take a chance squeezing off the shot only to be disappointed with the result. So much for my gambling luck. Looking back on those shots, I knew something didn’t feel right before and after I delivered the shot. Maybe I was a little too shaky. Maybe my stance didn’t feel right. Maybe there was a distraction from behind or the next lane over. Regardless, the lesson learned was, if it doesn’t feel right, abort the shot. It’s cheap insurance and a sure bet. Another area of discussion was on my equipment, which included the free pistol, air pistol, shooting glasses and shoes. (Is there anything left?!!) While it should have been obvious, I never noticed the large gap between the top of my hand and the inside of the grip on the free pistol. My grips are “large”. Medium will be better. The next issue was with the sights on the air pistol. The front sight had a slight scratch and the rear sight had a slight sheen. Either of these two issues could case the edges of the sight(s) to be slightly fuzzy which would decrease accuracy. The solution was simple but initially a bit distressing. After Ruslan had delivered a few initial shots with my air pistol, he asked if I had a match or lighter. Perplexed, I said no. He disappeared and shortly returned with a small piece of cloth, a jar of oil and a box of matches. Once the cloth was lit, Ruslan briefly held the flame over each of the sights to allow some carbon to collect on the sights. (The same could done with just a match.) When complete, the scratch and the glare were totally eliminated. I could definitely tell a difference in the sharpness of the sight edges. My shooting glasses were the next piece of equipment we tackled. I wear prescription progressive lenses. For shooting, I wear the Varga shooting glasses over my normal prescription glasses. I adjust the closed-down iris on the shooting glasses up and down and left and right until the rear sight is sharply in focus. The problem is that the prescription glass lens and the shooting glass lens (amber with no diopter correction) are not parallel. That can cause issues because light bends slightly when passing through glass. The Varga shooting glasses have limited adjustment capability so the solution may be to invest in a higher quality pair of shooting glasses. Another alternative would be to get a special prescription lens for the shooting glasses. Finally, I found out that my shoes are not optimum for shooing. I have a pair Nike shoes that have a very flat sole (good) but it’s fairly soft (bad). Ideally, the sole would be hard and flat. Ruslan suggested looking into weight lifting shoes. One such shoe is the Adidas Performance Men’s Powerlift.2 Training Shoe. So, those were the high points of the class. I’ll cover my experience with a training routine and physical/metal conditioning in the next article. Free Pistol Barcelona 1992 part 01 & 2. Great video! You can learn from the best!